The Sullivan Sports Boosters are once again offering Sullivan Spirit Wear for purchase. Order forms are available in all school offices. 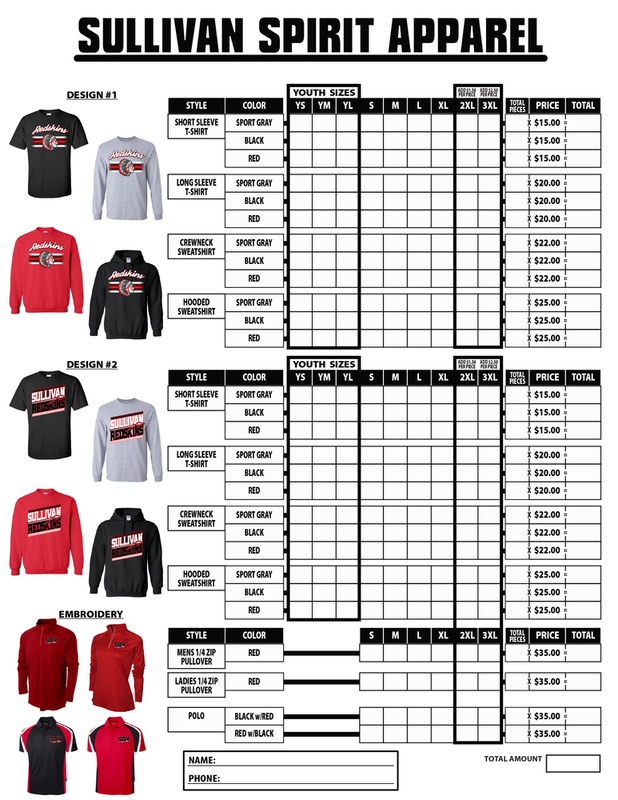 Please send the order forms back with payment in an envelope addressed to Aimee Darush, Sports Boosters to any school office. The deadline to order all spirit wear items is Wednesday September 5th.